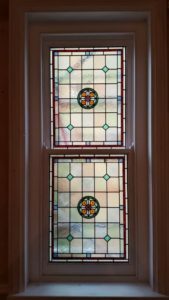 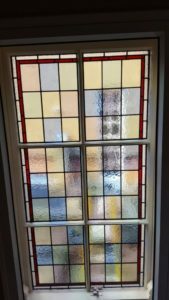 Traditional stained glass can work very well in stairway windows to look great and obscure the outlook onto a neighbouring house. 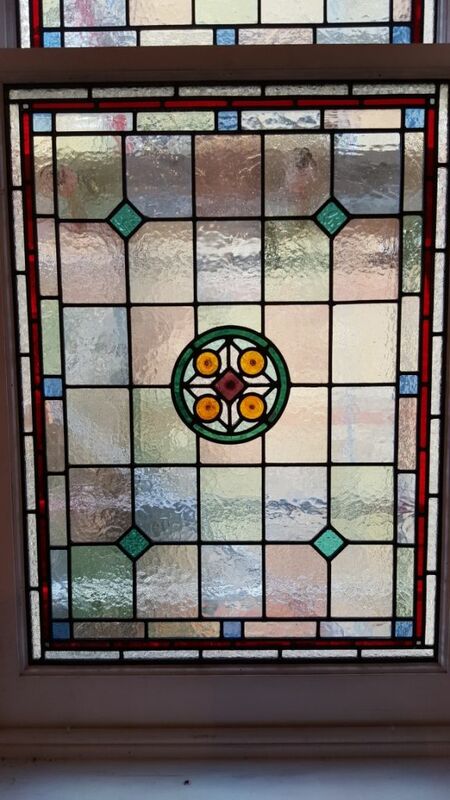 An example of this is in the photograph below of a recently made Victorian stained glass window. 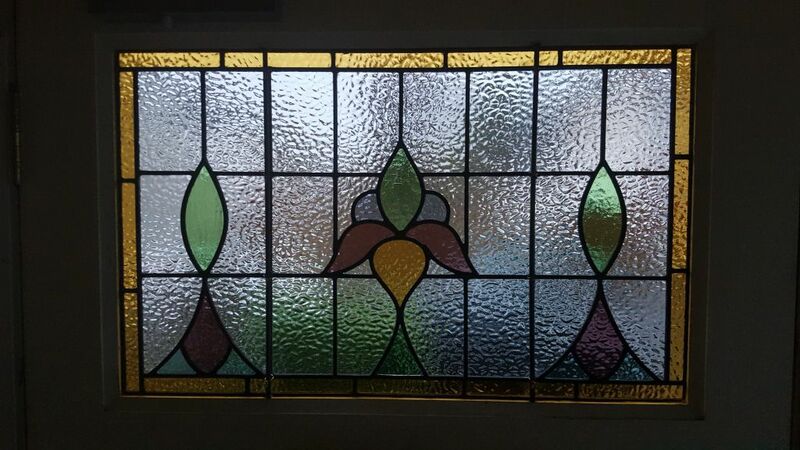 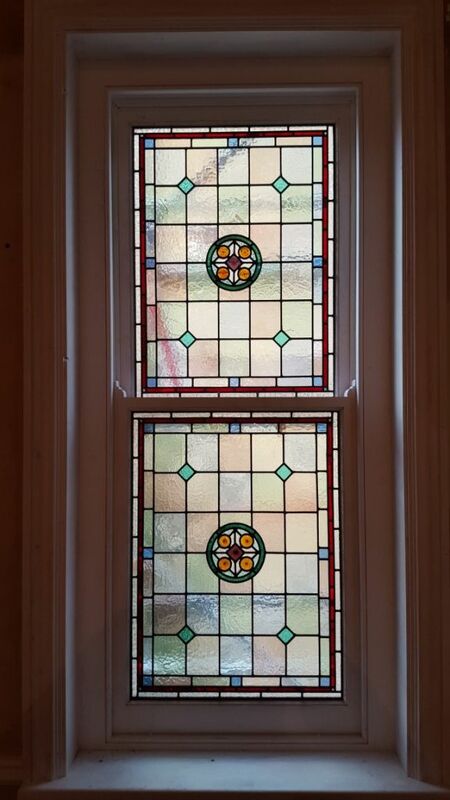 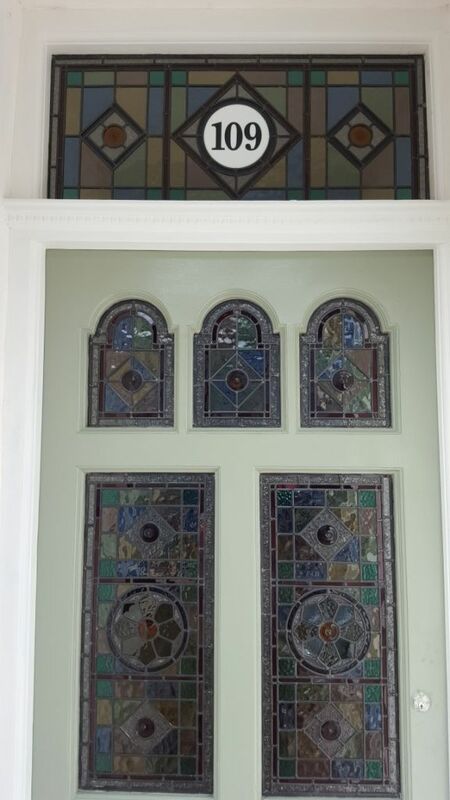 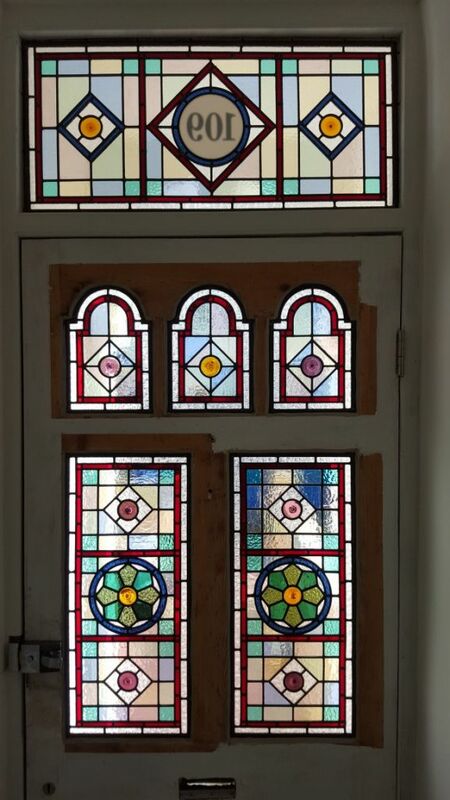 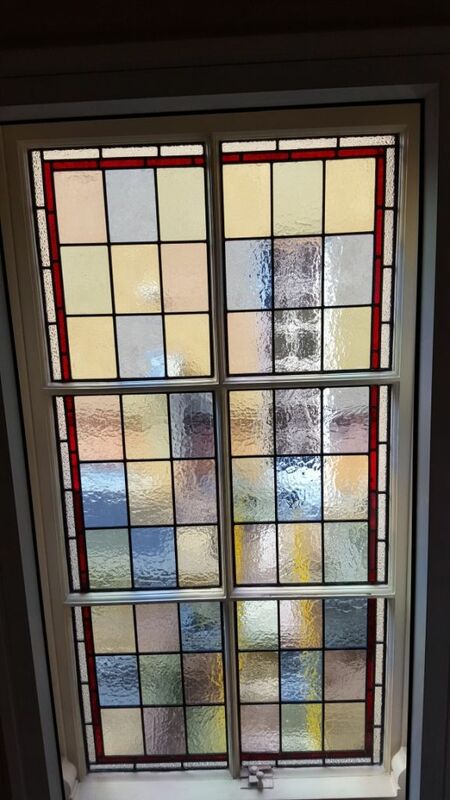 This is a beautiful set of stained glass that we have designed, made and fitted in a home in Wimbledon Village. 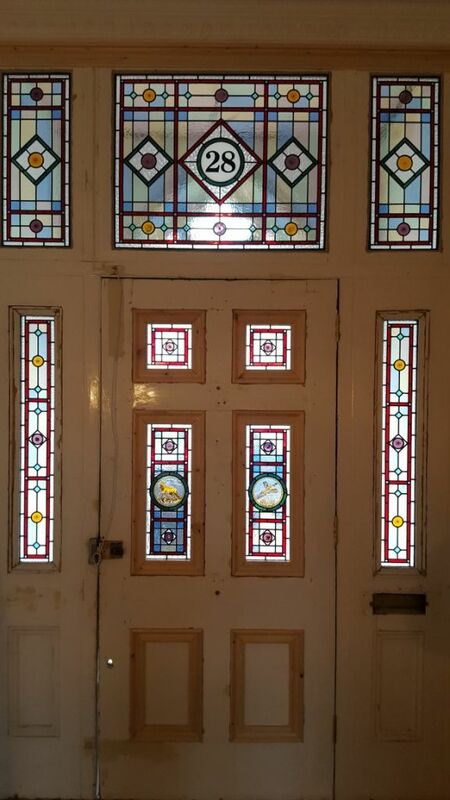 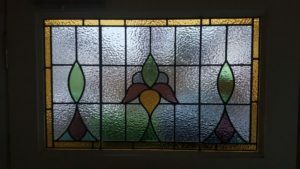 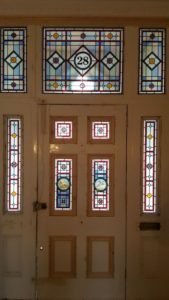 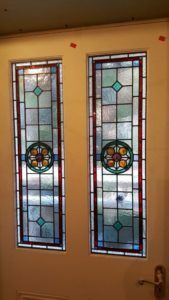 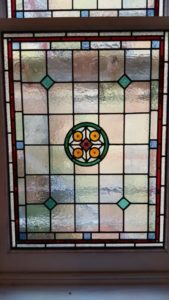 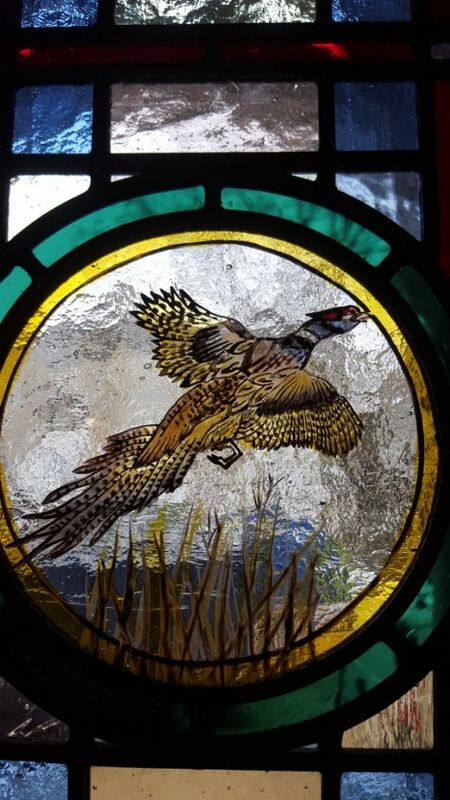 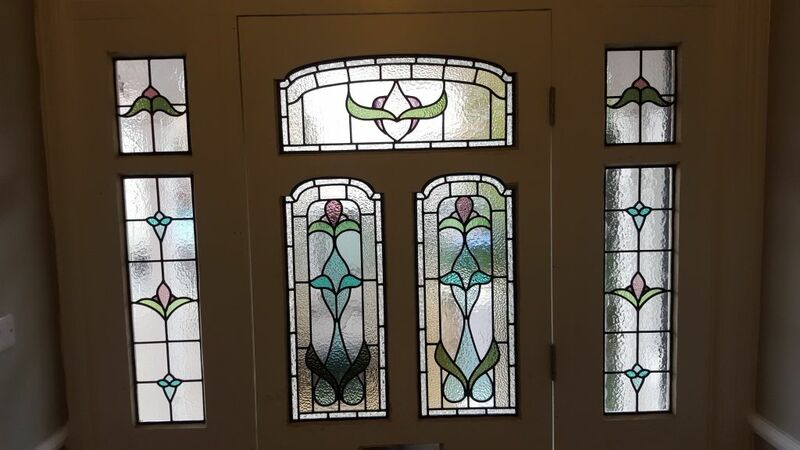 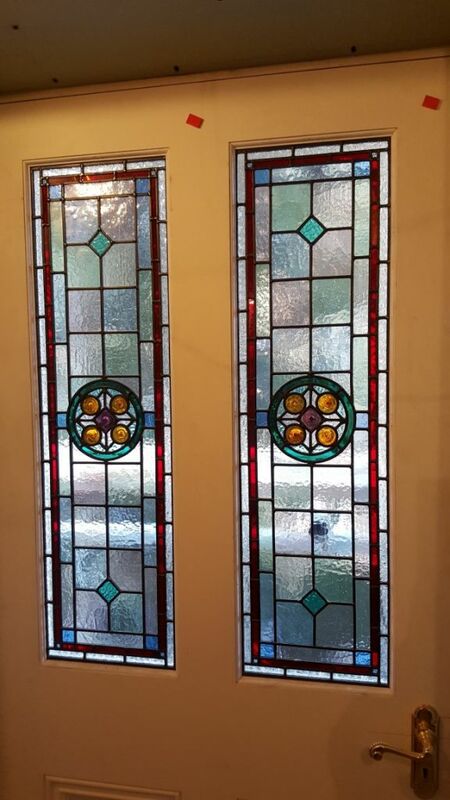 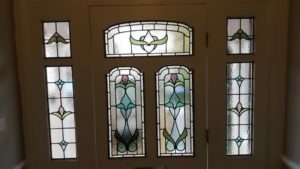 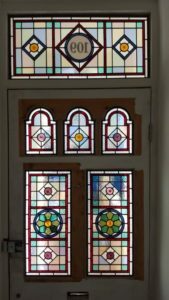 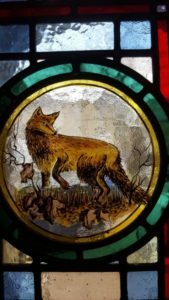 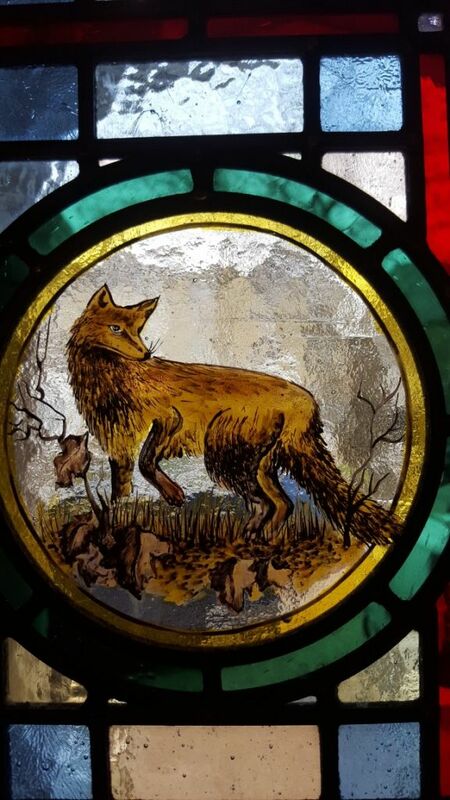 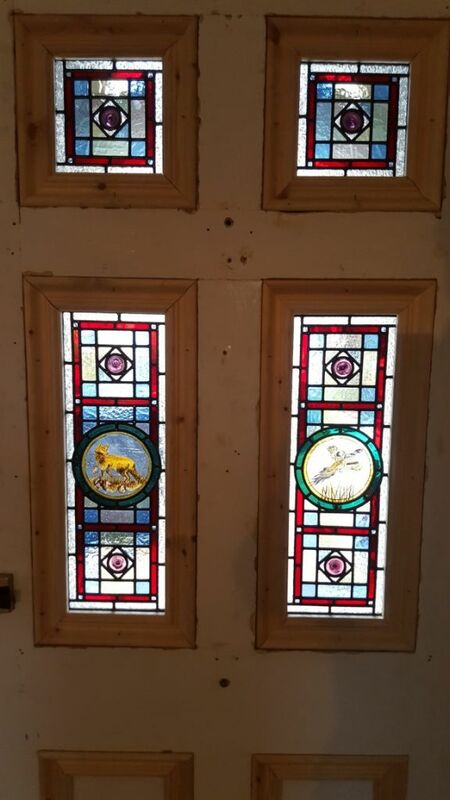 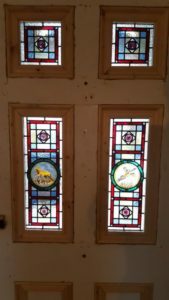 If you would like to see more Victorian and Edwardian stained glass like these, please take a look at our Victorian Stained Glass gallery and our Edwardian/ Art Nouveau Stained Glass gallery.